Examines up to 10 specified decimal fields. It contains A-F as a digit. It contains 0-9 as a sign and the NOSIGN operand is not specified. Specifies the sign of the decimal values is not to be checked for validity. Overrides the default of 200. 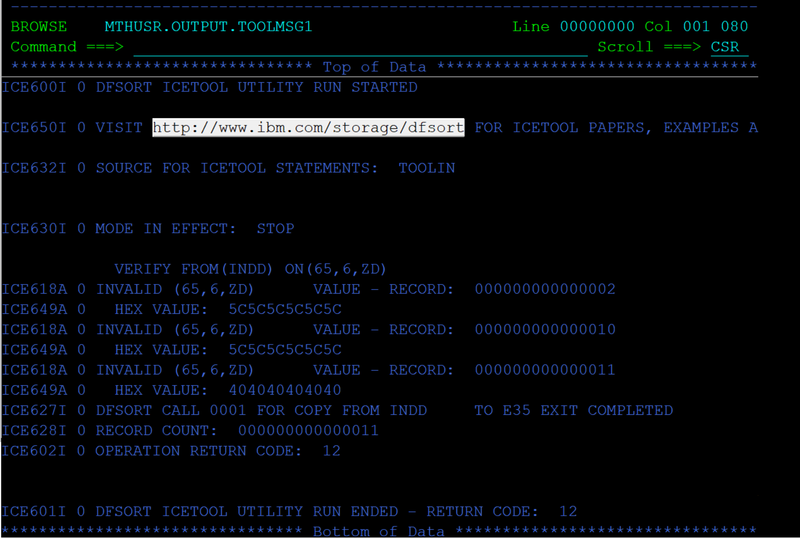 If n invalid decimal values are found, ICETOOL terminates the operation. VERIFY FROM(INDD) ON(65,6,ZD) -	Verifies and prints the invalid results in the TOOLMSG based on the criteria from 65th position of length 6 and type Zoned Decimal.